Daniel Handler has written a book that will resonate with just about anyone – young or old – who has ever had their heart stomped on. Which means YOU will love this book. Yes you. Why We Broke Up is Min Green’s farewell letter to Ed Slaterton, a boy she met at her best friend Al’s Bitter Sweet Sixteenth birthday. As she recounts her brief but meaningful relationship with Ed, hunky co-captain of the basketball team, she also returns to him all the detritus of that relationship. I’m telling you why we broke up, Ed. I’m writing it in this letter, the whole truth of why it happened. And the truth is that I goddamn loved you so much. When I was in grade nine I was madly in love with a boy called Dana. I loved him as only an awkward fourteen-year-old girl can possibly love a much cooler fourteen-year-old boy: from afar. I still have a picture of us taken on our grade nine trip to Prince Edward Island. Me in my Indian cotton shirt and really unfortunate flared jeans, a Bay City Rollers haircut; him in the uniform of the day (and also, perhaps, a Bay City Rollers haircut. Come on, it was the 70s). Anyway. He drank from my coke bottle and I saved that bottle and the inch of pop left at the bottom for years! And I never even got a kiss. Why We Broke Up is a good bye letter, but it’s also love letter. It’s quirky for sure. (Daniel Handler is perhaps better known as Lemony Snicket, author of the very popular Series of Unfortunate Events books. My 13 year old son is almost through the series and he is constantly reading me bits because he finds them so funny.) 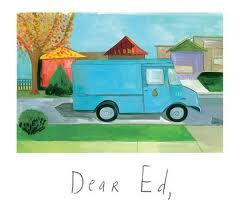 The book is illustrated by Maira Kalman and it’s a lovely book – glossy papered and heavy. It’s a clever way to tell an often told story – boy meets girl. Etc. It’s hard not to feel for Min, though, as she sifts through the mementos, calling up the events associated with them. There’s a story for every artifact and even though she’s giving them all back, the reader understands that her heart will not easily be mended. That’s love for you. 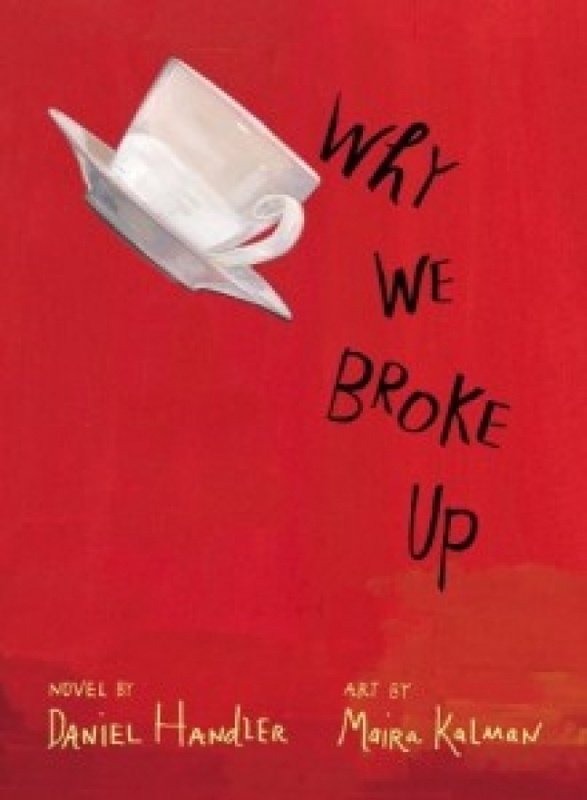 This entry was posted in Book Chat and tagged 2013, Book Review, mature teen, YA by Christie. Bookmark the permalink.